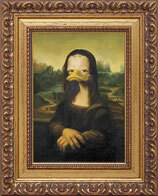 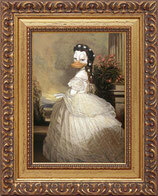 DUCKOMENTA: "Leonardo da Vinci saw the duck as the measure of all things imaginable. 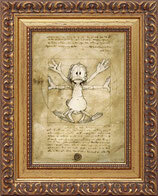 He dedicated his life’s work to the ducks’ dream of being able to fly." 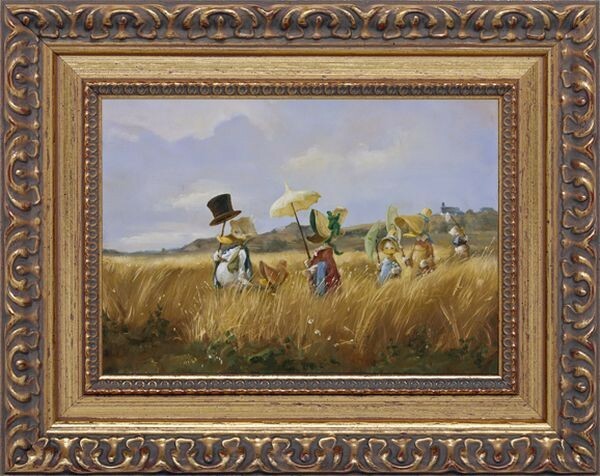 depicted these young individuals as pure, sweet angels." 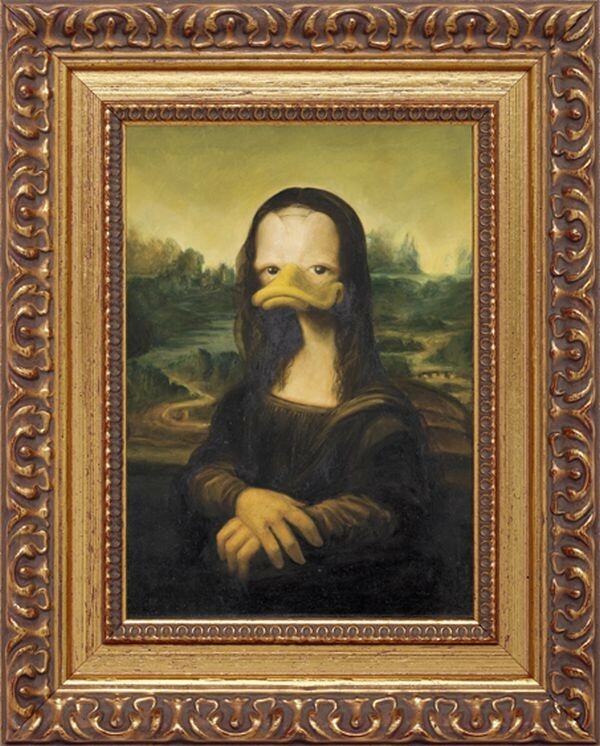 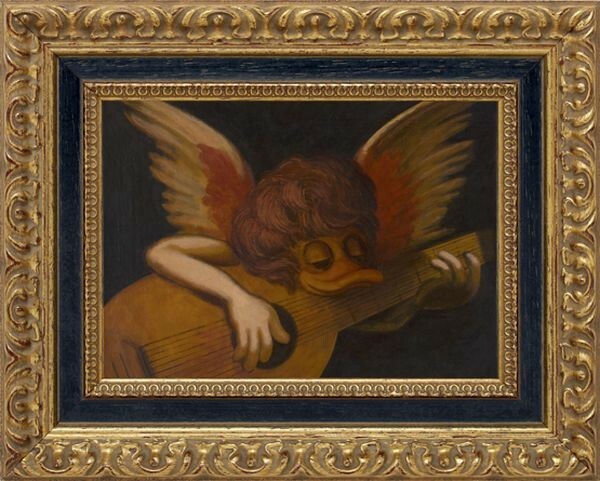 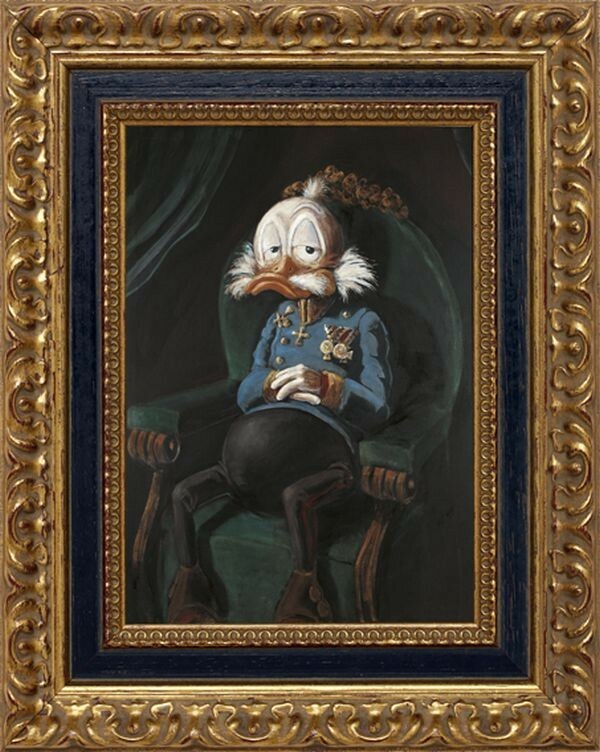 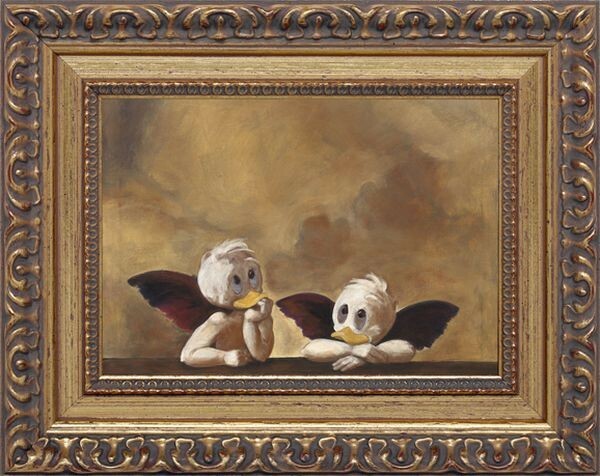 DUCKOMENTA : No reliable evidence remains as to who was depicted by Leonardo da Vinci in this commissioned painting. 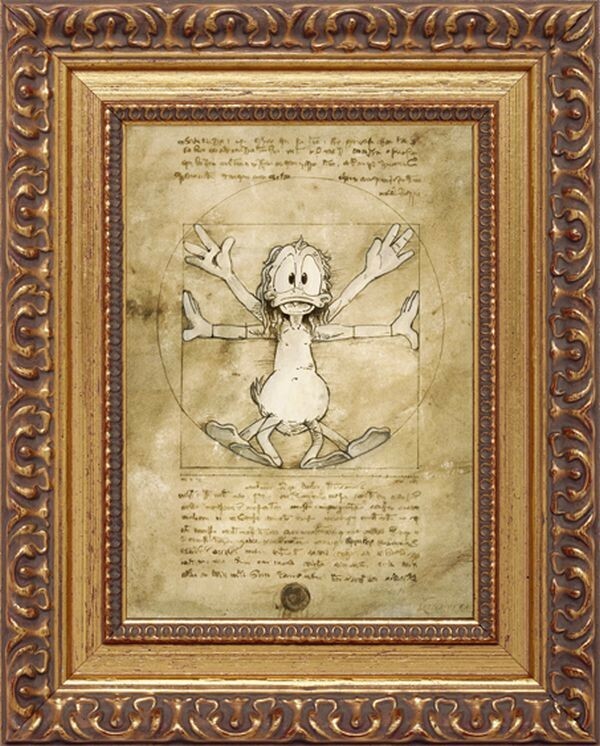 This version was never delivered to his client. DUCKOMENTA : Fear of water was widespread during the Baroque era. 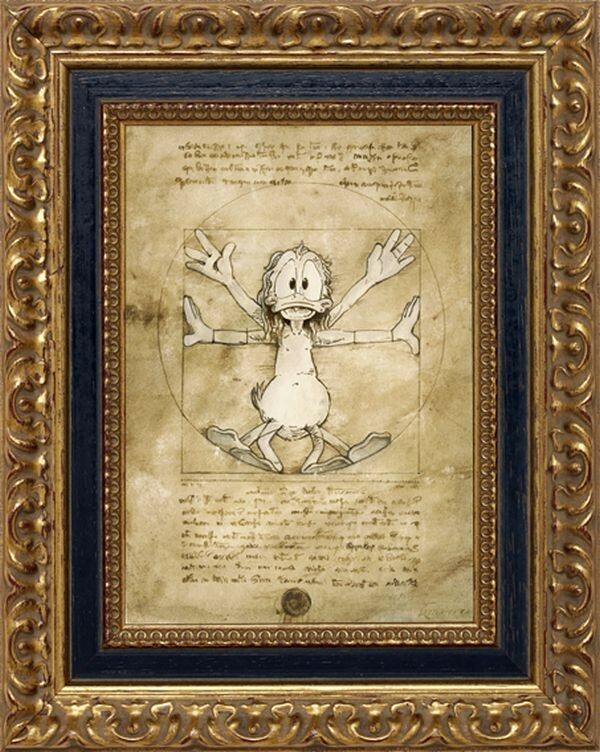 People believed that water spread disease. 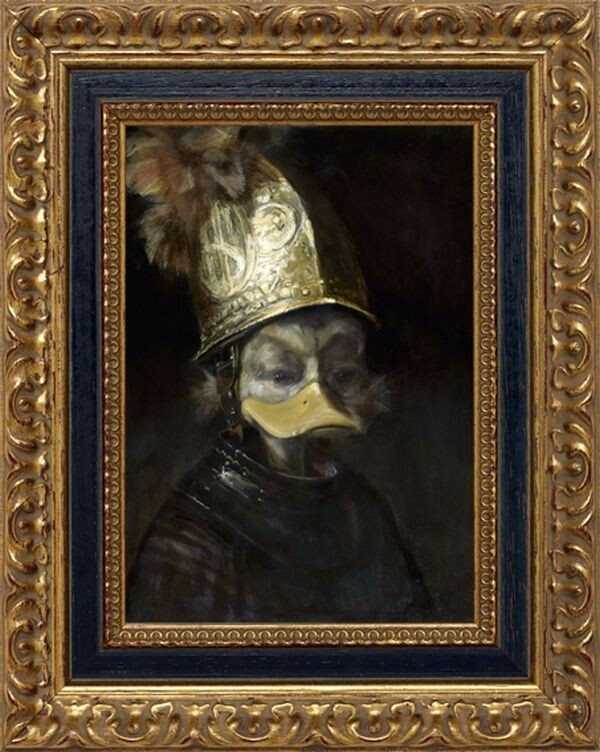 Rembrandt seems to have hinted that ducks believed the same to in this work which was attributed to him. 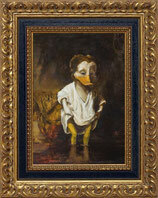 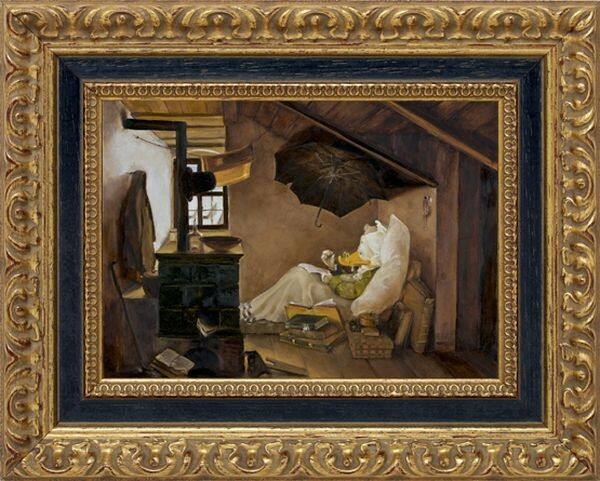 reproduction of "The poor poet"
DUCKOMENTA : "Carl Spitzmaus didn't believe that poverty always resulted in disgrace. 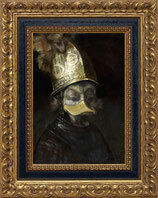 This piece, however, incurred the wrath of writing ducks. 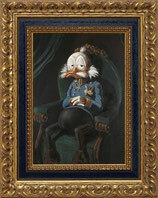 They accused him of, in barely hidden ways, of making fun of the craft of writing, even of the arts in general."